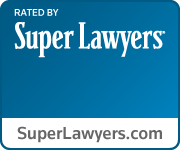 Super Lawyers are selected annually via a multi-step process that begins with peer nominations and evaluations, combined with independent research. Only 5% of attorneys in Illinois receive this distinction. The selection process is the same for both groups, but Rising Stars are either 40 years of age or younger or in practice for 10 years or less.